Carrot and Red Lentil Soup | Healthy. Delicious. I’ve also wanted to make carrot soup for, oh, about two years. Shawn wasn’t thrilled with the idea though, so I never got around to it. Now that the days are a tad cooler, it seemed like the perfect time to bring the two ideas together. I made a big pot of this soup one Sunday and ate it for lunch all week. Shawn didn’t want any part of it – too bad, because he doesn’t know what he was missing out on. 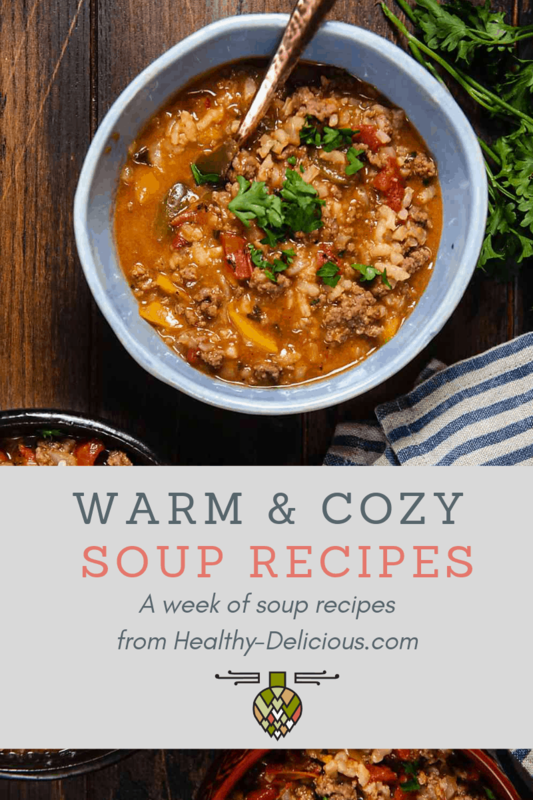 This soup is perfect for nippy fall days and it makes me look forward to pulling on wool socks and curling up with a book in front of the fireplace. It’s rich, warm, and incredibly comforting, but won’t leave you feeling weighed down. Leeks and carrots give this soup a subtle sweetness and red lentils, which cook down to thicken the soup and give it an earthy, nutty flavor. 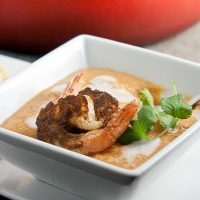 With base ingredients like these, it’s so easy to immediately reach for the curry powder or cumin. I didn’t want to do that, and did everything I could think of to avoid reaching for those jars. Instead, I used lots of freshly grated ginger and lime juice to keep the flavor bright. Coconut milk ties everything together and makes the final soup rich and luxurious. 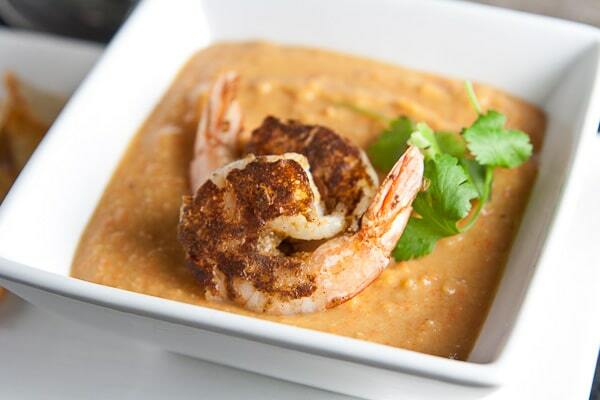 Top it off with a few spice encrusted shrimp for a real treat or just eat the soup plain – either way, it’s delicious. Heat the oil in a large saucepan set over medium heat. Add the onion, leek, garlic, and ginger and cook 4-5 minutes to soften the onion. Stir int the tomato paste and cook 1 minute. Add the carrots, lentils, water, and bay leaf. Cover and simmer 30 minutes, or until lentils are soft. Discard bay leaf and stir in lime juice. 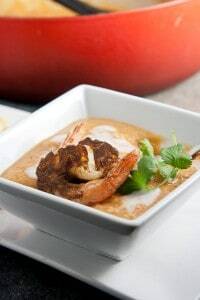 While the soup simmers, prepare the shrimp: combine the olive oil, water, coriander, ginger, paprika, and cayenne to for a thick paste (thin with additional water if necessary). Coast the shrimp with the spice paste. Spray a grill pan with cooking spray and set over high heat. When the pan is very hot, add the shrimp. Cook 2 minutes on each side, or until cooked through. Remove from heat. Transfer the soup to a blender or food processor; puree until smooth. Return to pot an stir in coconut milk. Add salt to taste. Divide soup between four bowls. 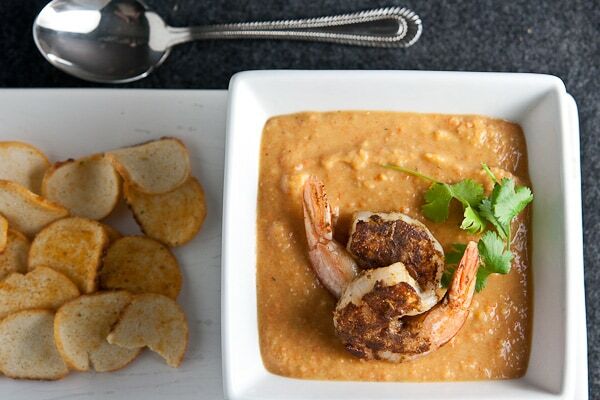 Top with shrimp and cilantro. Id desired, drizzle additional coconut milk on top. We made this tonight, and I feel like we are missing something. It is incredibly bland. All of the vegetables that go in are beautiful, but flavor is missing. Perhaps using a vegetable broth base would have been helpful? I had thought to double this recipe but was so glad we did not. Too many ads on the mobile version of this site! Annoying!!! I agree – unfortunately I’m locked into a contract with my mobile ad provider. Things should be much, much better in a month or so when that expires! Absolutely convinced that coconut milk or cream is such a fabulous addition to certain vegetable soups. It adds sweetness of course, but the texture improves exponentially. Sounds great! 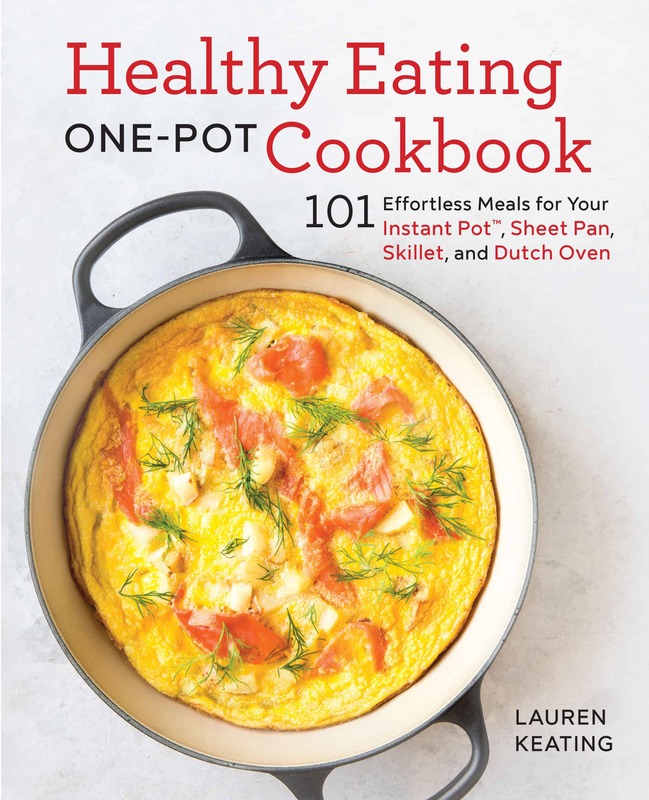 Lauren, there’s an unfortunate typo you’ll want to fix in the last sentence before the recipe, and feel free to delete this comment. oh my goodness – thanks so much for pointing that out!